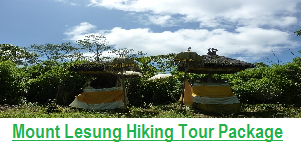 On this first day, for our first walk, we are going to begin from North West of Bali Island in Belimbing Village. The typical Balinese Hindu village is famous for its beautiful rice terraces which are considered as the best ones on the tropical Bali Island. 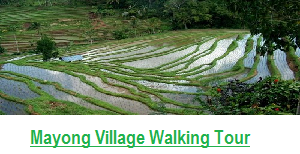 On the way of our walking journey, we are going to pass through small villages, rice fields, bamboo bride, crossing river, green hills and valleys, coffee plantation, rivers, jungle , bamboo forest and small remote villages. The hiking track takes more or less 8 to 9 hours. When it is late in the afternoon, we are going to arrive at a camp site in an area called Jatiluwih. Then, you are going to stay overnight at a local Balinese house. On this second day, we are going to start our journey after having breakfast at a local Balinese house. 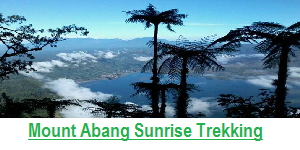 All of us are going to proceed our hiking journey from Jatiluwih to Tamblingan Lake. 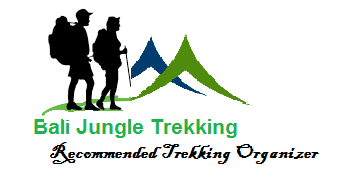 Trough this hiking journey, we are going to go on an exploration deep into Bali Tropical rain forest. For this purpose, we are going to go on a hike for a day in the forest. This tropical rain forest is really rich of flora and fauna, wild orchid, ferns, huge trees etc. What is more memorable is that a picnic lunch will be served in the middle of the tropical rain forest. The lunch will previously be cooked and prepared by our experienced guide. When it is late in the afternoon, we are going to arrive at the well-known Tamblingan Lake Side. Then, you are going to stay overnight at a local Hotel nearby. A morning meal will be held at the tent will be held before we start our journey of hiking up to a Balinese temple called Pura Puncak Mangu. 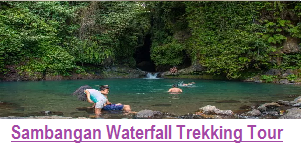 In this dramatic journey, we go on a hiking up through the magnificent views of the so-called danau Beratan or lake Beratan and the green and hilly northern parts of Bali Tropical Island. And so the journey continues, the hiking up leads us to small trails. On this spot,usually we will not find anyone on the way up. For a short description, the trail is truly awesome. Here, we will have the chance to enjoy witnessing unspoiled tropical forest and really green environment. To restore energy and spirit, a short rest will be made when we are reaching the temple. In the meantime, we can enjoy seeing the wonderfulful panorama and the ancient architecture of the old temple structure. Considering the location of the place, it is very suitable for people who like to do meditation. This is because the location is really a long distance from the people and their settlements. When it is late in the afternoon, we are going to reach Plaga Village. 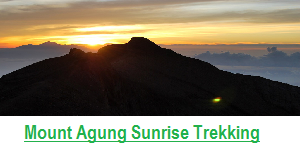 Here we will get on the car because we will continue our tour to Kintamani area for staying overnight at a tent there. To be exact, the overnight stay will be held at a tent in a place called Toya Depasya Hot Spring which will be continued with a BBQ Dinner. 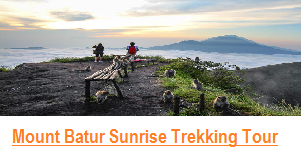 This day will begin very early in the morning, before dawn we start our trekking up to the summit of Batur active volcano to be able to enjoy witnessing the magnificent sun rise. As a matter of fact, this mountain is the most active volcano in Bali. This famous mountain has already erupted a lot of times since 1804, 1814, up to 2006. On the summit of it we will have a good time of boiling eggs or bananas on the steam for approximately 15 minutes. When it is time, then we will go down to a natural Hot Spring For an enjoyable swimming. You will also enjoy traditional Balinese massage and our buffet lunch at a local restaurant overlooking to the mountain and the lake. After the memorable activities, we will go to Ubud. When it is already late in the afternoon, we will go back to the hotel where you stay and enjoy relaxing at your own accommodation. The Tour Package Includes: Hotel transfer service, English/German speaking driver/guide, mineral water, all meals of breakfast and lunch, accommodation or tent and sleeping equipments, all entrance fees and things as they are stated on the packages.